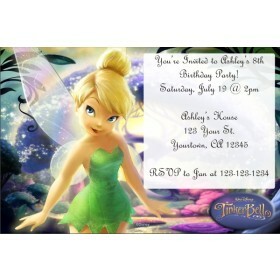 Tinkerbell Photo Invitation. 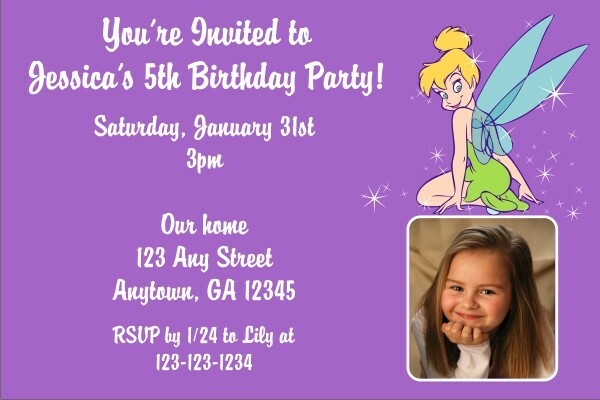 This invitation is great for the little fairy in your life. 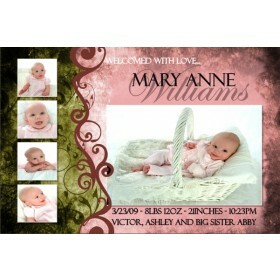 It features a purple background and a cute Tinkerbell graphic. 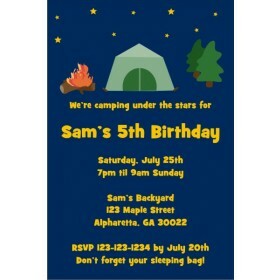 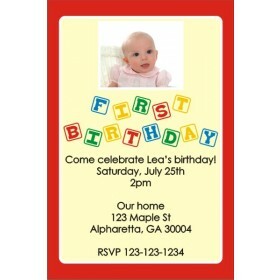 Upload a photo and customize it with your party information.